Virginia Dredden and her son Ronald Meekins hoped to bond over a normal fishing day on the lake last Monday; the day quickly exceeded their expectations. Dredden cast her line into Glen Lake in Woodbury Heights, N.J., only to have it resurface with a Piranha along for the ride. Meekins, realizing that it was in fact a piranha, notified both the New Jersey Division of Fish and Wildlife and local police, according to the Gloucester County Times. Police arrived within thirty minutes and took the fish away; they currently have it on ice. Woodbury Heights Mayor Harry W. Elton Jr. and Larry Hajna, an official from the Fish and Wildlife Department, said that things like this happen all the time. 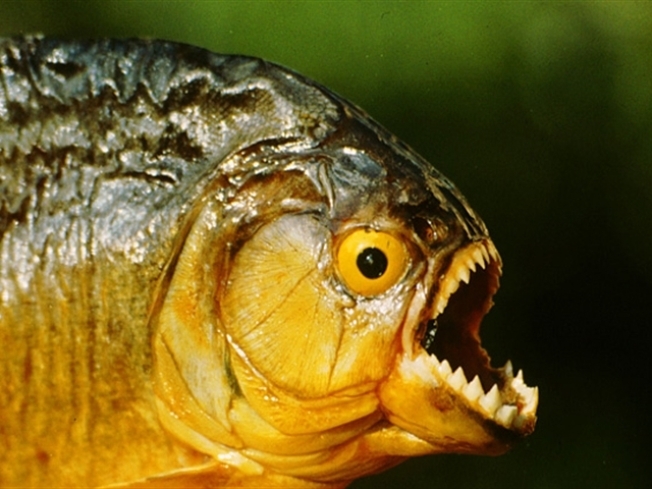 Piranhas are not common in New Jersey, but local officials assure citizens they have nothing to worry about.